The Group Edition of PREPARE/ENRICH is designed to bring couples of various relationship stages together in one group can lead to a dynamic experience for all. Engaged couples benefit from the realism and interpersonal learning that happens when they witness how other couples cope with life’s stressors, honor their commitment, grow, heal, and express themselves. Engaged and dating couples reenergise those around them with their hope and optimism. The PREPARE/ENRICH Group Program lends itself well to a retreat format as it allows for a combination of teaching, small groups, and break-out time for couples. 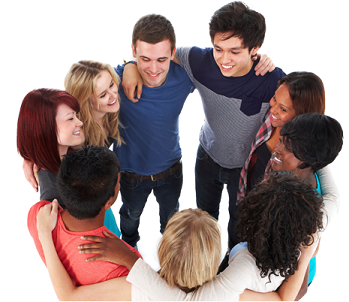 The Group Program outlines ten sessions but you may use only the sessions that work for the time you have or items that have been raised by the group. The first session is written as an introductory session and the last as a wrap-up. All other sessions need not be delivered in consecutive order. The theoretical underpinnings of the PREPARE/ENRICH program (2008) are based on assumptions that quality marital relationships can be predicted from premarital relationship factors (Olson & Olson-Sigg, 1999). The preventive approach of this program focuses on identifying factors related to marital success, assessing couples on those factors, giving couples feedback and exercises designed to help them deal with problem areas, and to provide couples with skill-building exercises that focus on communication and conflict resolution. An Australian study has shown that there is a strong link between experience of financial hardship and personal psychological distress (Creed, P.A., & Miller, J. Psychological distress in the labour market: Shame or deprivation? Australian Journal of Psychology, 2006, 58, 31-39). One point made by the authors is that financial distress reduces a person’s capacity to plan and interferes with planning for a meaningful future. It is this that primarily reduces psychological wellbeing. Money is a powerful word that conjures up a number of emotions, among them lust, envy, fear, anger, hope, scorn and disgust. Little wonder then, that the most common source of disagreement in families in Australia is money. 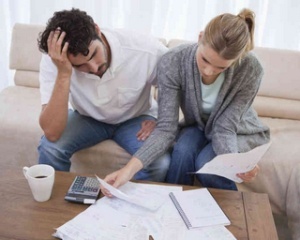 In fact, 37 percent of all married couples indicate that the number one problem in their marriage is #money. The PREPARE/ENRICH Inventories have been designed so facilitators can give constructive feedback to couples. The feedback process is designed to help facilitators work more effectively with couples. While we encourage facilitators to follow this process initially, you should also feel free to experiment and build upon it. Following on from the definition of the four types of premarital couples based on PREPARE - Vitalised, Harmonious, Conventional, and Conflicted (plus Devitalised for married couples) - it was found that the couple types are highly predictive of which couples eventually become separated/divorced, unhappily married or happily married (Fowers, Montel, and Olson, 1996).